I'm really over wearing rompers this summer, but with the wishy water weather Chicago's been experience its the best kind of outfit I own. 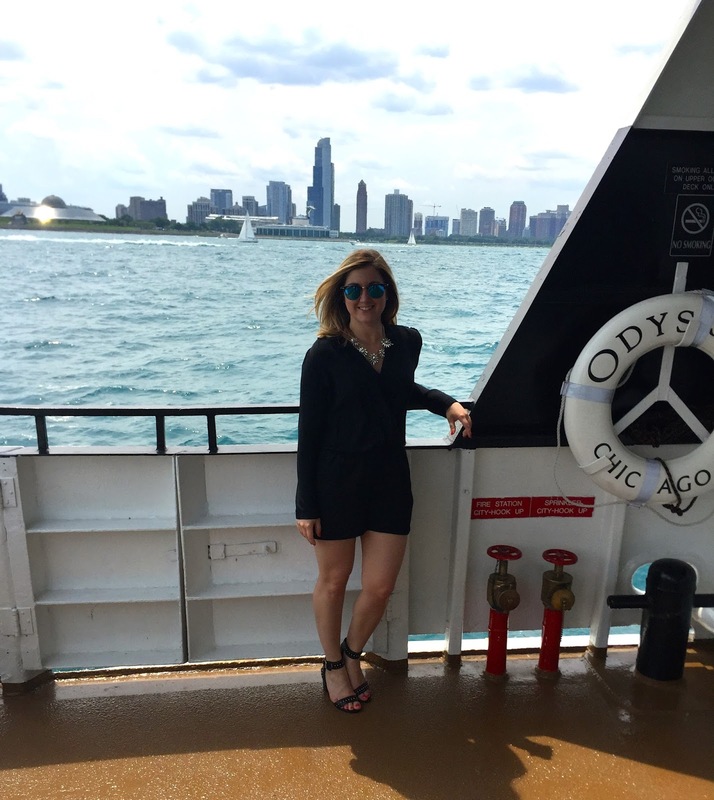 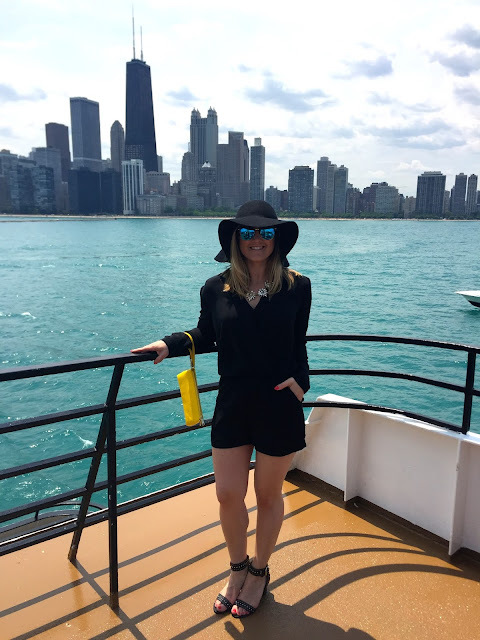 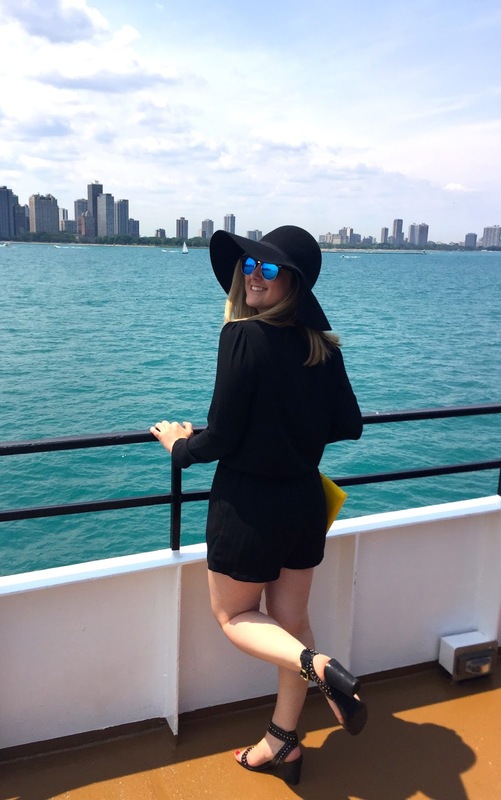 I've worn this romper before here, but I decided to add different accessories for summer and for spending the day on a boat. 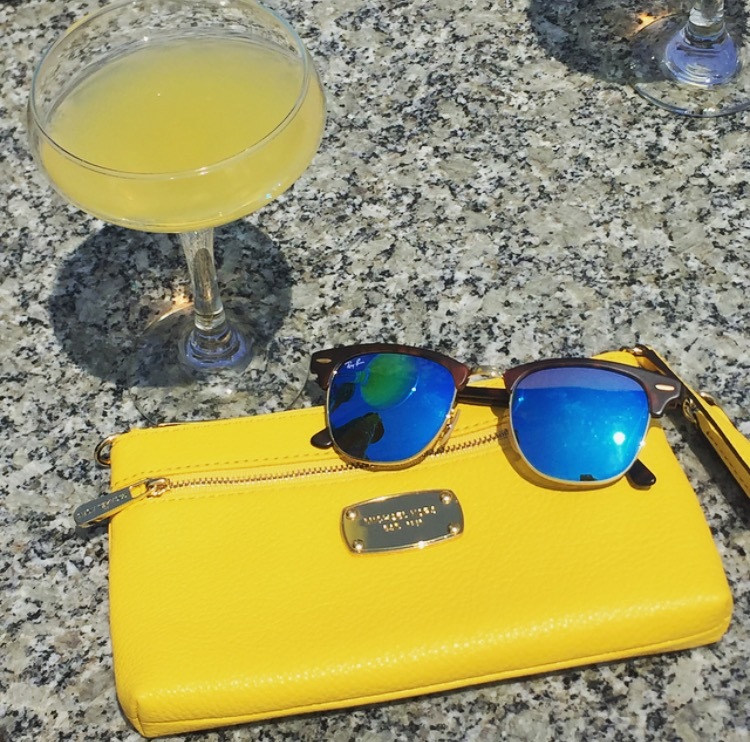 I love this bright yellow wristlet by Michael Kors. 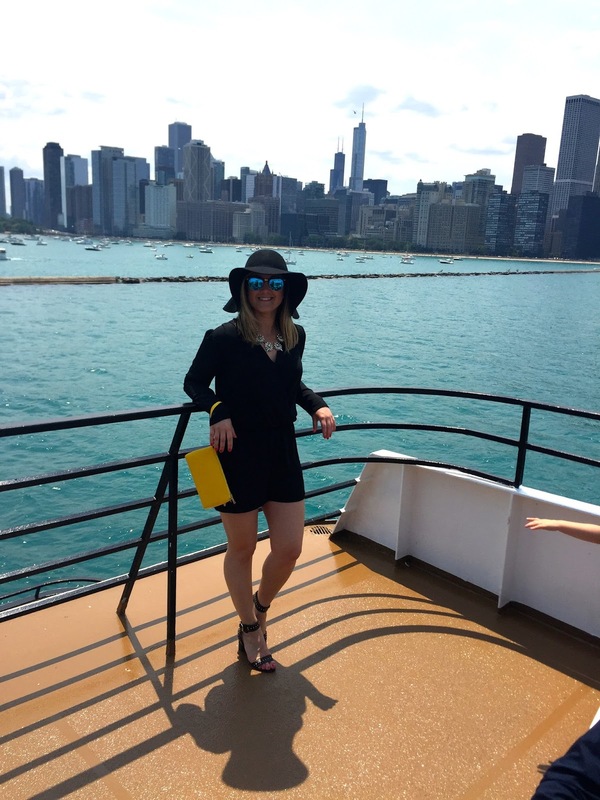 It's pop of color really stood out against my black outfit and my hat was the perfect touch of flare for the occasion.